Join Us For a Magical Week of Storybook Themes! Do you have what it takes to become a REAL fairy? We'll spend the week learning what fairies do, how they fly and what their wings are made of! We'll even make our own life size magical fairy tree for dancers to take home so that the fairy tale fun can continue long after camp is over! Your fairy will bring home a coloring book and fairy photo from our professional photo shoot too! Bring your own lunch and morning snack and we'll provide all of the fun and memories! *Certain crafts are worked on all week and are not included for students enrolled in one day only. Designed for children 3 -9 years of age! – Creating a Full Size Fairy Tree and Set of Fairy Puppets! 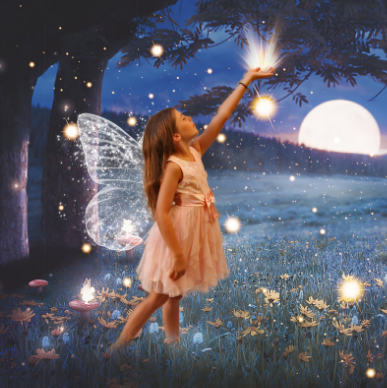 – Fully edited professional photo featuring your beautiful fairy! – Full sized coloring book learning how to become a real fairy! DESIGNED WITH AGES 3-9 IN MIND! Children must be potty trained to attend. Join us for this week - packed with amazing memories for your dancer! CLICK TO REGISTER FOR CAMP TODAY! 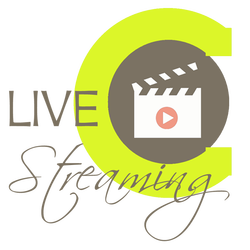 NOW OFFERING LIVE STREAMING SERVICE! Moms can now feel more secure than ever when they can log in to LIVE stream to see exactly what their kiddos are up to at camp! When you register for camp, you’ll receive a secure link to log in during that week and see all the fun they’re having.